Cell differentiation is a process in which the same cell type undergoes cell division and gradually forms morphological, structural, and functional stability differences. The process of producing different cell groups is called cell differentiation. Modern molecular biology studies have shown that cell differentiation is due to the selective expression of specific proteins by cells, resulting in differences in morphology, structure and function. For example, chicken oviduct cells synthesize ovalbumin, adult red blood cells synthesize β-globin, and islet cells synthesize insulin. These cells are gradually produced during the development of the individual, and cell differentiation is achieved through strict and precisely regulated gene expression. However, cell differentiation is not unique to multicellular organisms. Single cells and even prokaryotes also have problems with cell differentiation, such as the formation of Bacillus subtilis spores and the formation of brewer's yeast haploid spores. Single-cell biological cells are mostly differentiated to adapt to different living environments. However, multicellular organisms construct tissues and organs that perform different functions through cell differentiation. Therefore, multicellular organisms are more complicated in their differentiation procedures and regulatory mechanisms. Cell differentiation occurs throughout the life of the organism and has the greatest differentiation activity during the embryonic period. Embryonic cells need to undergo a stage called “cell decision” before displaying unique morphological, physiological, and biochemical features. In this stage, although the cells have not yet shown specific morphological features, specific changes have occurred in the direction of differentiation. The cells are maximally differentiated during the embryonic phase throughout life. In general, differentiated cells will remain in a differentiated state until death. Under normal conditions, cell differentiation is stable and irreversible. Once a cell is subjected to a certain stimulus and begins to differentiate, even if the stimulus that causes the change no longer exists, the differentiation can proceed and can continue through cell division. 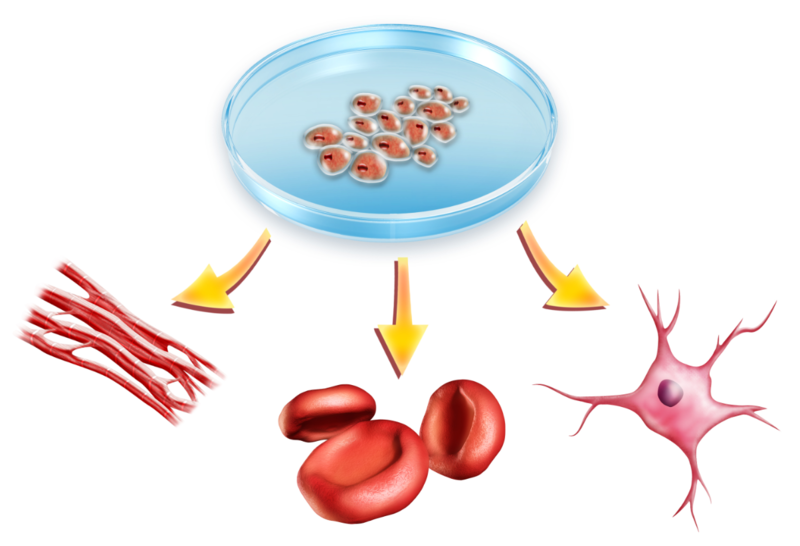 Cell differentiation is ubiquitous in the biological world and is the basis for the development of biological individuals. During the study of early embryonic development, it was found that a part of cells affected peripheral cells to differentiate in a certain direction. This effect is called the interaction of proximal tissues, and it is mainly achieved by the secretion of paracrine (also known as cell growth differentiation factor) by the cells. Another effect of long-distance cell-cell interactions on cell differentiation is primarily regulated by hormones. The effective time of the signal molecule is short-lived, but the cell can store this transient effect and form a long-term memory that gradually differentiates in a specific direction. Cell memory can be achieved in two ways: positive feedback pathways and chromatin structural changes. Because cells have the ability of memory, as differentiation information accumulates to become a "decided" cell, this information related to cell differentiation can be traced back to fertilized eggs in many animals. In many species, the information carried by the cells after cleavage begins to differ, and this difference in turn affects other cells through the signaling molecules to produce a cascade effect. The information thus stored is continually modified and gradually evolves into more sophisticated and complex instructions that ultimately result in differently differentiated cell types. In embryology research, people have mainly studied the effects of cell-cell interactions on cell differentiation and organ construction, and called this effect embryo induction. In addition, the location of the cells has a significant impact on the fate of cell differentiation. It has been shown through experiments that changing the position of cells can lead to changes in the direction of cell differentiation. This phenomenon is called positional effect. Gender determination is one of the important topics in the field of cell differentiation and biological individual development. Experiments have shown that the effects of the environment on gender have long been discovered and studied. Typical examples are many reptiles, such as lizards, who develop into females at lower temperatures (24°C) and develop into males at higher temperature (32°C).